On Sunday, April 7th, Kent and I will be presenting a class titled, “Channeling Demystified“. Due to the spring snowstorm that hit the Denver metro area on March 9, we had to reschedule the class that was originally scheduled for March 9th. This class is the culmination of an exciting learning experience for us. Maitland first broached the idea months ago, urging us to teach classes. We at first pushed back on her suggestion, but then got excited about her idea when she shared that she wanted to collaborate with us to create the curriculum and teach the class. As a former IT Project Manager, I’m used to organizing my thoughts and developing written materials from weekly status reports to thorough reports. As not all of my projects included the budget for training, I have years of training development and delivery experience in a professional setting to draw upon. Sometimes I have been responsible for developing the curriculum on my own and in other instances I have worked with a team to collaboratively develop the materials that would be delivered. However, not once in my work in corporate America did I actively collaborate with someone who is in spirit. THIS was a new experience! Working with Maitland to develop the course was fun. I didn’t really know what to expect, so in many respects, I allowed her to drive the process. Some of the content came from direct meditations that Kent conducted with Maitland. 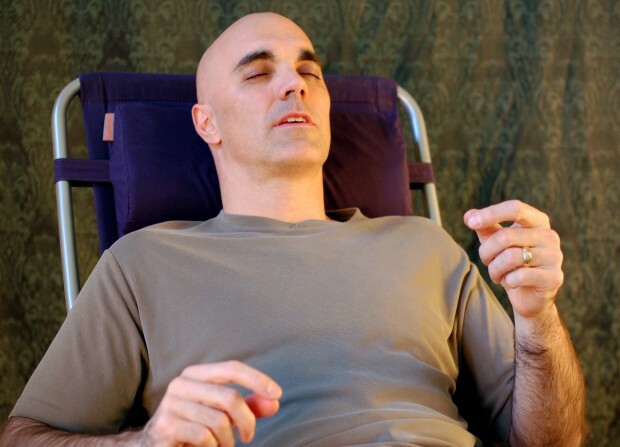 Other information was provided experientially through Kent as he developed his technique of trance-channeling Maitland. The biggest difference for me was the duration of the process. This was a multi-month process to slowly write down the little nuggets that built upon one another until the manual was complete. However, the end result is an instructional manual that we will share with our students for their use in class as well as a self-study guide after the class. Maitland was an amazing co-author. Friday, April 5th, Trance Channeling Demonstration. Kent, Maitland, and I will be guests at the Denver Psychic Development Group Meetup. Saturday, April 6, Psychic Experiences Social. Share your psychic experiences, meet others interested in psychic abilities, and learn about Aspen Program classes including our class on April 7, “Channeling Demystified“. Sunday, April 7, we present the class “Channeling Demystified” at The Cloisters in Lakewood, 12:30 – 4:30 p.m. If you are outside the Denver metro area, but are interested in on-line learning or self-study using the materials from this class, please e-mail us.